Advantages of clay bar treatments. When you take a look at all the different treatments and services offered by car detailing professionals, you are bound to come across something called clay bar treatments. With so many different cleaning and treatment methods available these days, it can be tough to keep track of each one. Clay bar treatments offer many benefits and here are some of the reasons why you should choose this treatment the next time you have your car detailed! No matter how much you try, your car will get dirty. The contaminants that attach themselves to your car are not necessarily large enough that you can spot them right away. In fact, these tiny particles have a habit of sneaking up on vehicle owners! 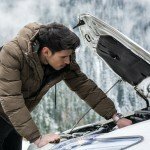 At first, you don’t even notice them but, as time goes by, they build up and eventually your car is a far cry from what it used to be. The trouble with these particles is that they have a way of attaching themselves to the paint itself which is kind of like something bonding with your skin. You can’t just rip it off or scrub it away. Harsh cleaning solutions and methods will do more harm than good. When you scrub, you are also scrubbing the surrounding paint which will leave it looking dull compared to the rest of that panel. In addition, scrubbing can also scratch your car so badly that serious restoration will be required. Using clay solves this problem. Clay bar treatments act in a non-abrasive manner to remove dirt effectively and without damaging your car’s paint. Once your car has been thoroughly cleaned and all the impurities have been removed with the help of a clay bar treatment, it’s the perfect opportunity to apply a fresh layer of wax or sealant. The cleaner the surface of your car, the better the wax or sealant will bond with your paint. In addition, you won’t be trapping those impurities between the paint and the sealant! Better bonding between the sealant and the paint helps it last longer and act more effectively over this period of time. 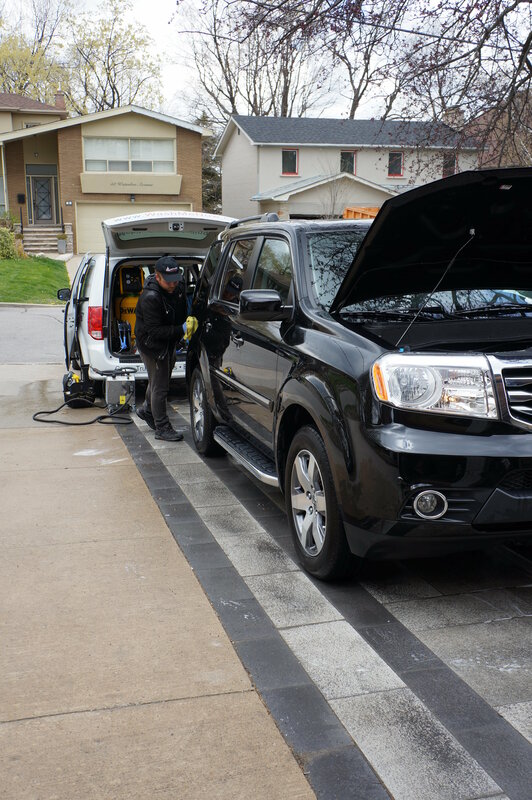 While many people believe that a quick wash is all that it takes, it’s important to understand that auto wax and sealants are designed to stick to the paint and not the dirt! 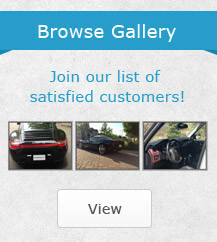 Take it up a level and give your car the professional attention it deserves! When your car looks good, you will be tempted to run your hands along the paintwork too. If the impurities have not been removed, you will notice that the paint has a rough feel to it. Using a clay bar treatment gives your car that perfect smooth feel. It’s also great for achieving the must luxurious shine! A smooth surface is much easier to clean and shine so, once your car has had a clay bar treatment, you can expect it to shimmer and shine! Like washing, when your car is polished, it’s important that the surface is free of any debris. Just one tiny piece of dirt can cause a considerable amount of damage during the polishing process. By removing the dirt with a clay bar, you can be sure that the results from the polish will be even better than you can imagine! Finally, it’s important to understand that the better you care for your vehicle, the higher the price it will fetch when you decide to sell or trade it in for another model. Faded, dirty, and scratched paint can cause the value of your vehicle to depreciate considerably! The opposite is also true – a well-maintained coat of paint will help maintain the value of your car. Don’t settle for second best! 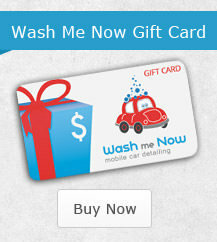 Call Wash Me Now at (647) 607-5199 for professional car detailing services. 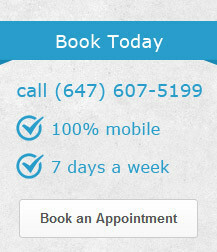 Our mobile team will come to you anywhere in the GTA!